Hampton Township is a township in Allegheny County located approximately 9 miles outside of Pittsburgh. Its location offers families and individuals a convenient commute to the city. Hampton Township offers a 195 acre community park with sports fields and courts, picnic shelters, playgrounds, walking trails, and a swimming pool. Residents also have access to a community center which features an indoor track, fitness center, and activity rooms, among other things. The area currently known as Hampton Township was first settled sometime during the mid to late 18th century, around the time of the Revolutionary War. The town was originally called Tally Cavey. In 1861, Moses Hampton, LLD, signed the necessary documents to make Hampton a municipality. Throughout the late 19th and 20th centuries, people began moving into this area and helped create the community it is today. 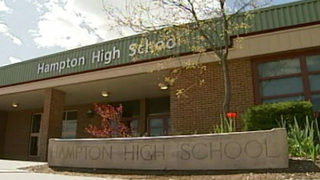 The Hampton Township School District is a mid-sized public school district which only serves the residents of Hampton Township. They offer three elementary, one middle, and one high school. There is a home for everyone in Hampton. The area offers new houses for sale, existing small homes, modern homes, ranch style homes as well as larger 5 bedroom houses and even homes with a pool!